Home > Episode 442: Three Months to The Force Awakens! 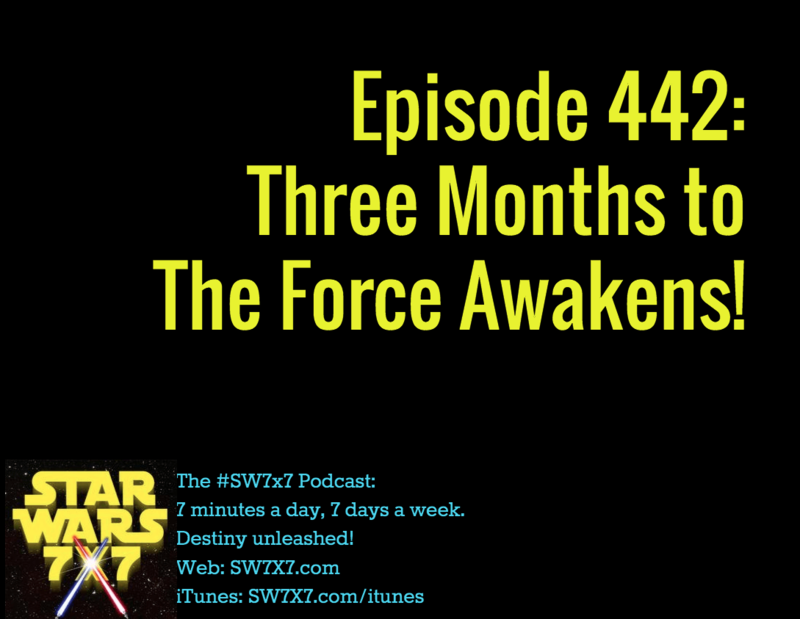 Episode 442: Three Months to The Force Awakens! That’s right, it’s now just a little less than three months to go to see The Force Awakens! Get excited!!! And as we mentioned on the podcast, here’s the link to the story about Mark Hamill’s fall/no fall while filming, and about the possibility of showings of The Force Awakens happening in the US as early as 7pm local time on Thursday the 17th, instead of on Friday the 18th. Today’s question: How many puppeteers were crouched inside Jabba the Hutt’s head during filming for Return of the Jedi? I’m speculating a new trailer in October sometime? Trailers “typically” are released 3 months before the feature, so perhaps on the ticket sale day? I could be totally wrong, since Disney/Lucasfilm has done nothing normal yet, in regards to how they release their trailers. In any case, the fact remains that we’re entering the home stretch of the waiting period! It’s hard to believe sometimes that we’re actually getting new movie canon. The force is all around us.